which will remain a lasting memory ! 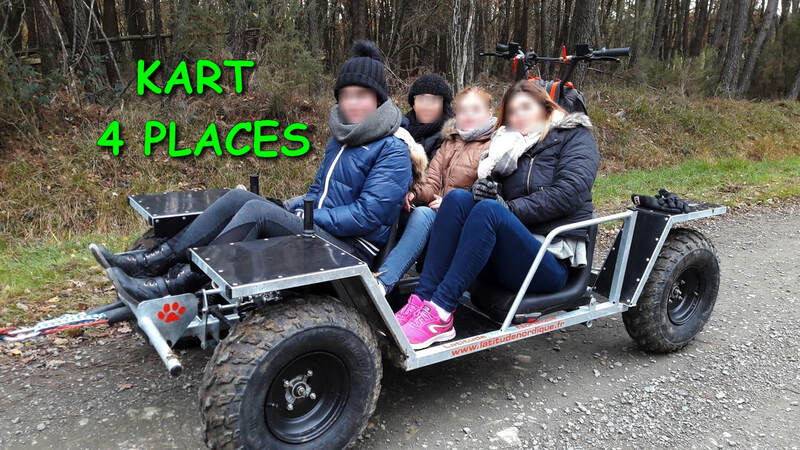 Cani kart from 39 euros per child under 13 years and 49 euros per adult. More info on the Cani kart by clicking here ! 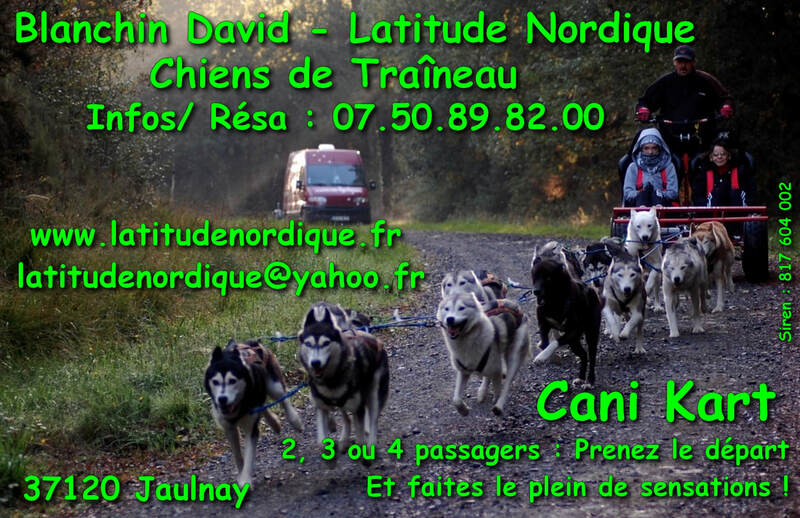 The activity of cani kart is a seasonal activity (for the comfort of dogs) from September to April inclusive. 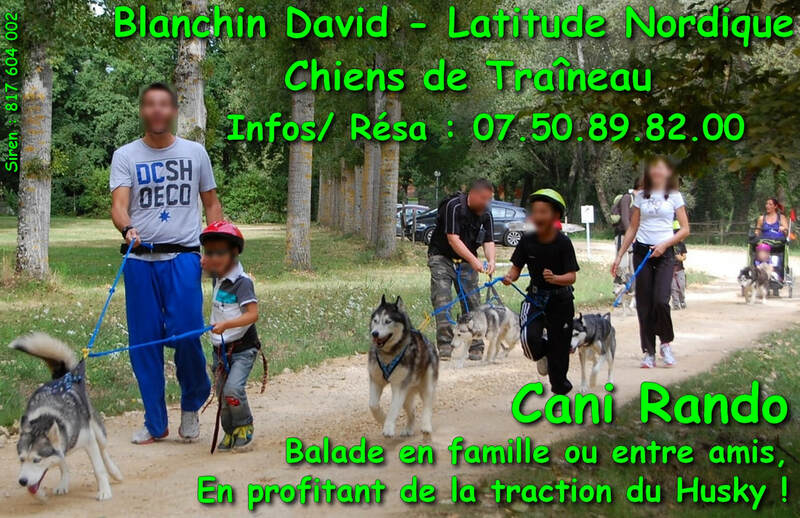 Cani hike from 15 euros per child under 13 years old and 25 euros per adult. More info on the Cani hike by clicking here ! Group rate in cani hike (more than 10 participants) on estimate. The cani hike activity is practiced all year long. Our activities can not be practiced by pregnant women. 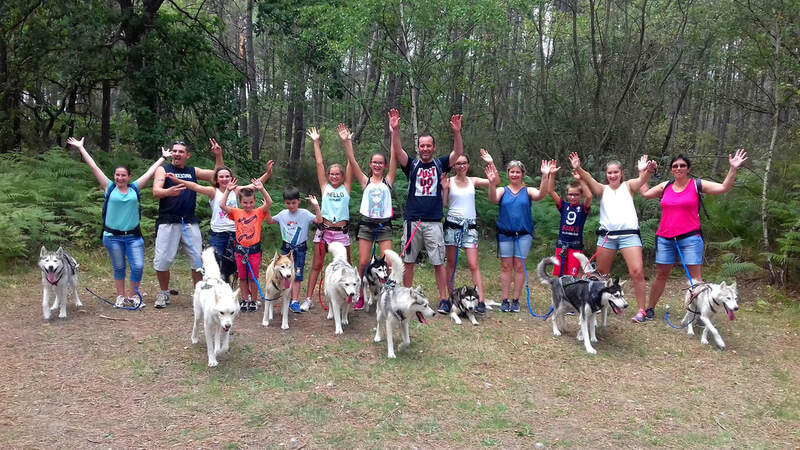 We welcome you from 2 participants minimum and on reservation for the activities of cani hike and cani kart! The cani kart and cani hike activities are also available as a gift card with a validity of 1 year! 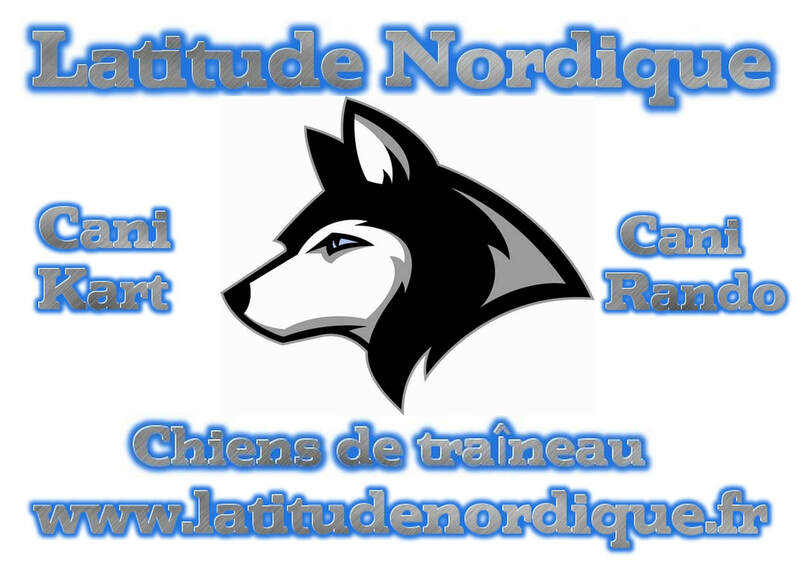 Latitude Nordique is open all year, from January 2nd to December 31st! Activities are on reservation at 07.50.89.82.00! I WOULD LIKE TO HAVE INFORMATION ! 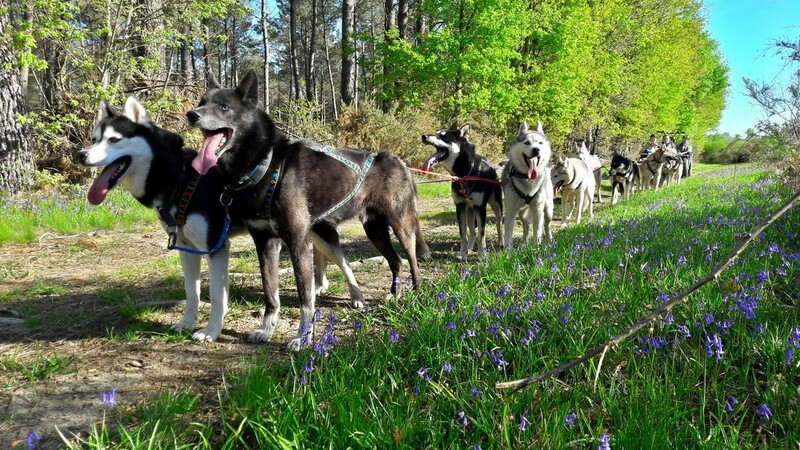 The husky was used for centuries by the tribe of the Chukchi in Siberia as a sled dog. In the early twentieth century, it is imported in North America by fur traders, and participated in numerous sled races, in which it is very efficient. In 1925, a diphtheria epidemic affects Nome, Alaska, and the husky is used for sending drugs. Then he excelled as a dog rescue and research during World War II and subsequently acquired a reputation worldwide. The husky is a very happy and very intelligent dog. It is not aggressive and friendly shows with everyone. He gets along well with children and can make a good companion dog provided you have sufficient space and exercise. It must be drawn from a young age because it is a stubborn and mischievous dog. Legend has it that the husky was born from the love of a wolf and moon: the husky to the appearance of wolves and bears tail crescent moon. According to legend, the full moon, husky and wolves howl to the moon to call it back down again ! Blanchin David/ Latitude Nordique. 10 grande rue 37120 Jaulnay - France. Copyright: The texts, photos, images composing this site are the property of Blanchin David / Latitude Nordique. Reproduction in whole or in part, and any representation of the substantial content of this site, one or more of its components, by any process whatsoever without express authorization of David Blanchin / Latitude Nordique, is prohibited and constitutes an Counterfeiting L.335-2 and following of the Code of intellectual property. The information, icons, photographs, images, texts, video sequences, with or without sound, and other materials on the website are protected by industrial property rights and / or intellectual, or that Blanchin David / Latitude Nordique in either holder or she is authorized to reproduce and represent them. As such, any reproduction, adaptation, translation and / or modification or partial or transfer to another site are prohibited.